Employers often claim that their employees are "at-will," meaning that they can be fired for any reason or no reason at all. The "at-will" doctrine is now in disfavor because courts and juries realize that, in general, it is unfair to employees. Employers often discharge employees without warning even though their written personnel policies, including an employee handbook, and/or their standard practices establish that there is a progressive discipline process, or corrective action procedure, mandated for to employees before termination. Even where employers have no written discipline/warning policy, they may have engaged in such a practice over time. Written policies and standard practices are expressions of fairness towards employees. Employers implement them to induce employees to accept a position. When that occurs, the policies and practices become binding upon the employer as an implied contract. 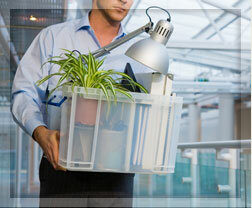 But employers often ignore the policies or practices when terminating employees. Under Vermont law, employers cannot publish or practice fairness procedures and ignore them at their discretion. When employers act in that manner, we pursue them on behalf of the discharged employee to obtain redress. Juries often award money damages in the form of lost compensation and benefits for a period of years. If the employer's actions appear to have been in bad faith or with malice, juries may also award punitive damages. Emotional distress money damages are also awarded to fired employees. Each case must be mediated before trial. Most cases settle at mediation. The point is that employers acting in an unfair manner should not go without recourse for the fired employee who was treated unfairly. Everyone deserves good legal advice and strong legal representation. That's what we do. To discuss your specific situation, please contact us today.